BARCELONA, Spain (AP) — With his plan to revamp tennis’ Davis Cup, Barcelona defender Gerard Pique is laying the groundwork for a life after soccer. Pique will anchor a defense that has lost two players to injury when Barcelona hosts league leader Sevilla on Saturday. With both Samuel Umtiti (left knee) and Thomas Vermaelen (right leg) unavailable, Pique will start alongside former Sevilla player Clement Lenglet. Barcelona is in second place — one point behind Sevilla — and under pressure after going four matches without a win. Pique has played every minute in the league so far this season. But he and his teammates haven’t been able to keep a clean sheet in six matches. More will be needed against a Sevilla side that has outscored opponents 14-4 over a four-game winning streak that included a 3-0 win over Real Madrid at Ramon Sanchez Pizjuan Stadium last month. The 31-year-old Pique has started to reduce his playing commitments by retiring from international competition following the World Cup. But instead of resting during last week’s international break, the 2010 World Cup champion with Spain focused on his tennis venture by traveling to China to attend the Shanghai Masters. Pique practiced with Barcelona on Wednesday morning before traveling to Madrid to make a public presentation of his Davis Cup plan. Pique’s scheme is to transform the Davis Cup, which is currently played over four weekends throughout the year, into a season-ending, 18-team tournament whose first edition will be held in November 2019 in Madrid. Pique is founder of the investment group Kosmos, which has developed the new format backed by the International Tennis Federation. “It will be a one-of-a kind competition,” Pique said Wednesday in Madrid. Business has taken Pique beyond the world of sports. He has started companies that sell eyeglasses, isotonic drinks and organic hamburgers. 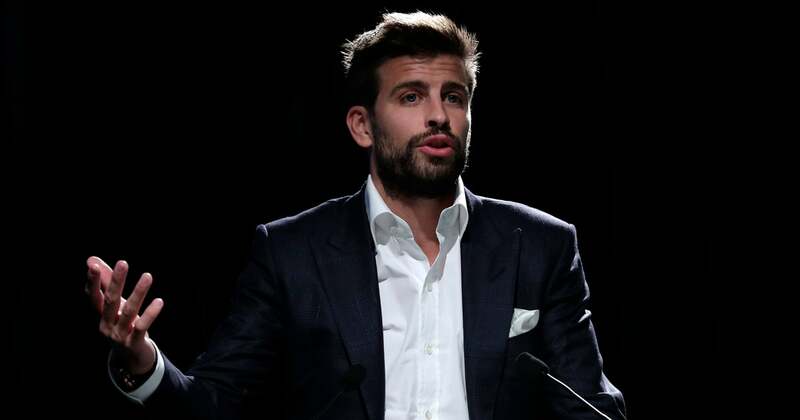 Pique is also a regular at the Mobile World Congress, the annual wireless trade show held in Barcelona, and in 2016 dined with Facebook’s Mark Zuckerberg in a hotel in Barcelona. After trying to develop video games, Pique shifted into the new industry of esports in 2016 when he founded eFootball.Pro. Barcelona signed an agreement with Pique to join the virtual league in February. When asked on Wednesday if he had spoken to Barcelona president Josep Bartomeu about his Davis Cup plan, Pique said no. “Sometimes we meet for other things. For example, the esports, which is going well for us,” Pique said. Pique’s off-field activities have also created awkward situations with his employer. Pique was behind the production company that made a documentary following Antoine Griezmann through his decision-making process on whether to stay at Atletico Madrid or accept an offer to join Barcelona at the end of last season. Griezmann, much to Barcelona’s chagrin, stayed put. A huge fan favorite at Camp Nou, Pique was often jeered by some of Spain’s own fans for his barbs that as a Barcelona player he often fires at rival Real Madrid. Nor has he shied from taking part in the incredibly tense debate in Spain about Catalonia’s secessionist movement, saying that while he doesn’t want the wealthy northeastern region to break away, he does support efforts to hold a referendum on independence. Pique signed a contract extension with Barcelona in January that is good through the end of the 2021-22 season. He will then be 35, and Pique has even flirted with the possibility of moving up into Barcelona’s board room by becoming the club’s future president. His huge popularity among Barcelona’s supporters make him a more than credible candidate.